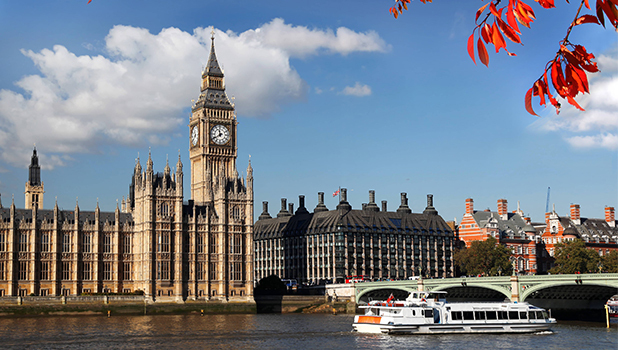 Relax and enjoy some of the most beautiful views of London as you cruise along the River Thames with this special 2fFOR1 offer. Whether you’re outside in the sun or sitting in the cabin, you’ll get terrific views of some of the most iconic buildings in the world from the panoramic windows. And to make your sightseeing trip more special, we have an on-board commentary available in up to 6 languages. You just need your smartphone and your earphones. Our hop-on hop-off river pass is valid on both Thames River Services (TRS) and Circular Cruises (CC) services. The pass gives you unlimited travel on either service throughout the day between Westminster Pier and Greenwich - with the option of an extra trip to the fascinating Thames Barrier in the summer months. Thames River Services call at Westminster, St Katherine’s Dock (the Tower of London) and Greenwich. Circular Cruise services call at Westminster, Embankment, Festival Pier, Bankside and St Katherine’s Dock (the Tower of London). Hop-on Hop-off River Pass - Live commentary in English plus audio guides in French, German, Italian, Mandarin and Spanish available via Wi-Fi.